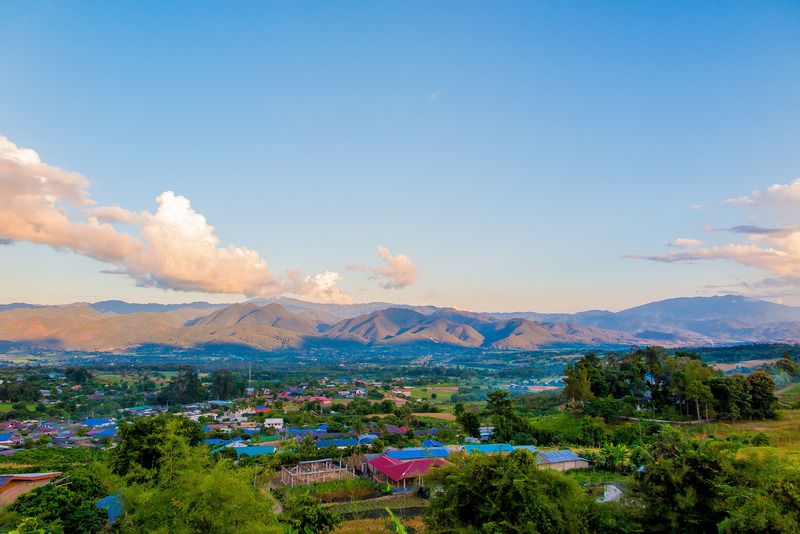 This small (and once quite) town in the northern mountains of Thailand is gaining more and more popularity among travellers. The small town itself isn’t what attract the crowds of visitors. Most people want to explore the surrounding hills, rice fields, waterfalls and natural hot springs. The place is 3 to 4 hours driving north west from the big city of Chiang Mai. The road between those two places has many many curves which can make you fee sea sick. At the local market you can buy a T-shirt or sticker with the text: Chiang Mai to Pai, 762 curves.This road is part of the 600 km long Mae Hong Son Loop, road nr. 1095 Chiang Mai – Mae Hong Son. 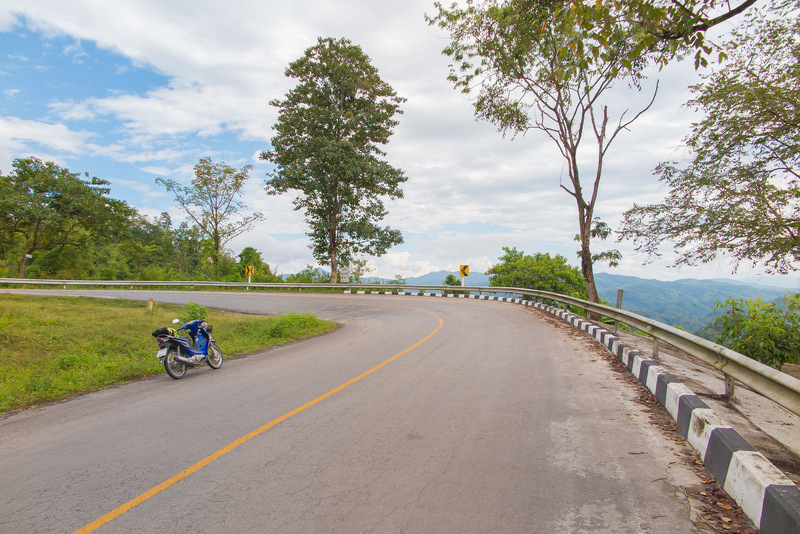 This is a popular road by adventures motorbike drivers who like to drive in a mountainous landscape. 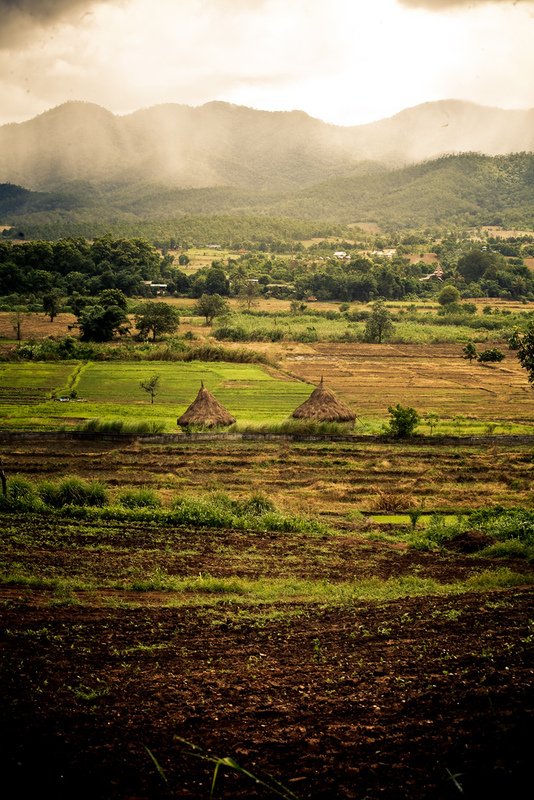 The landscape around Pai is fantastic. A great way to see and feel the beautiness of the landscape is by walking on the mountain trail called Pai Canyon. Another way is to sit down and enjoy a coffee or tea in one of the coffee shops over viewing the breathtaking scenery. Coffee is grown in these mountainous areas. Around Pai you can find various caves, water falls and natural hot springs. One of the popular natural hot spring areas is called Sai Ngam. One of the popular caves is called Tham Lot Cave. A popular outdoor activity is rafting on the Pai river. There has been a large increase in Thai people visiting after Pai was featured in a romantic Thai film, Pai in Love. Pai: Everything You Need to Know Before You Go by www.viabangkok.com.